Offering a nimble mesh of indie rock and vintage aesthetics, Cambridge-based trio The British IBM officially launched in 2012, commandeered by singer/songwriter & retro enthusiast Aidy, alongside musical comrades David on bass and Paul on percussion. The group’s 2012 debut self-titled album—produced with Neil “Bugs” Rogers—features single “Animal,” accompanied by a well-received animated video clip lensed by Ridertoons’ Jose Cubero. Second single and title track “the British IBM” garnered acclaim with its use in the trailer for 2014 documentary film “From Bedrooms to Billions,” which outlines the story of the British video games industry from 1979 to today. Aidy is off and running in 2015, with preparation of the British IBM's upcoming project, “Psychopaths Dream in Black and White,” which will include an array of overdubs, including a contribution from cellist Anna Scott, as well as bassoon and sitar. It is being recorded at indie facility Half Ton Studios. Cambridge-based trio The British IBM are pleased to announce that their new album ‘Psychopaths Dream In Black and White’ will be released on 4th September 2015. Offering a gentle mesh of indie rock and down-tempo, folk-tinged Americana the new material is reminiscent of the husky, melancholic dirges of Lambchop combined with the sensitive song-writing of the likes of Belle & Sebastian, Camera Obscura and Perfume Genius. With an aesthetic recalling the bizarre retro-futurist world of Richard Ayoade’s adaptation of Dostoyevsky’s literary classic The Double, the band launched in 2012 fronted by singer/songwriter Adrian Killens, joined live by David Martin (bass) and Paul Richards (percussion). Their forthcoming new record includes an array of overdubs and guest spots including a contribution from cellist Anna Scott, Neil ‘Bugs’ Rogers on drums and Chad Young on bass, both of whom played in Hofman, which was fronted by Steve Adams of the Broken Family Band. Recorded at Half Ton Studios, the album looks set to further deepen the trio’s wistful sound, taking the ramshackle charm of Guided By Voices at their most melodic and adding a boyish enthusiasm that tips its hat to both Weezer and Matthew Sweet. 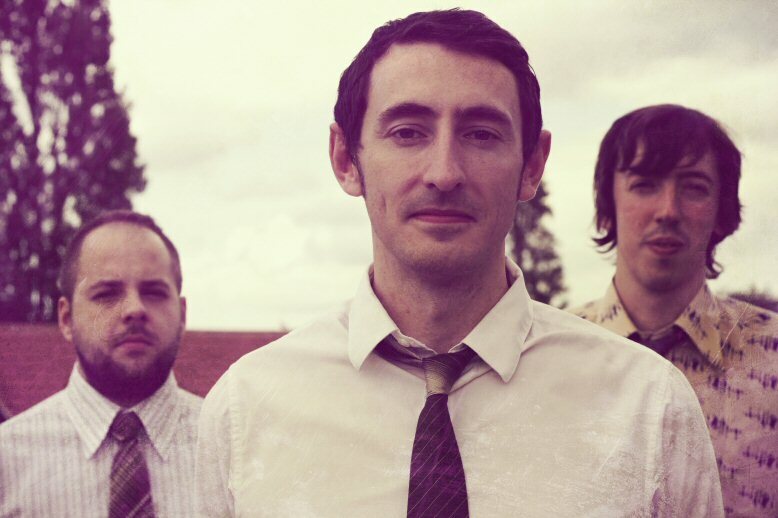 The group’s 2012 debut self-titled album—produced with Neil “Bugs” Rogers—featured title track ‘The British IBM’ which garnered acclaim with its use in the trailer for 2014 documentary film “From Bedrooms to Billions”, outlining the story of the British video games industry from 1979 to present day. The video for the track also featured TV presenter Iain Lee of The 11 O’Clock Show fame, gaining support from The 405, GoldFlakePaint, Shout4Music and Q Radio which lead to appearances at Classic Gaming Expo in Las Vegas, Cambridge Rock Festival, Green Man Festival, Stockton Calling and more. A prolific songwriter in his own right, Killens also composes music for videogames under his Gimpy Software moniker and has released multiple solo albums, including his renowned 2010 “Song A Week” project, the result of which was a 53-track opus of the same name.